While you can obtain the time from a variety of sources, including the ubiquitous cellphone, lots of people still enjoy wearing a wristwatch. There are many reasons for that, including styling, function and convenience. While anything that will accurately tell the time will do, many consumers enjoy buying designer watches, made by famous manufacturers. Some are famous for their timepieces, and others are well known because of their styling, perhaps even in another area of fashion. When you make the decision to buy a designer watch, you need to consider a variety of criteria before you make your purchase. After all, you want to make sure that the timepiece you purchase suits you in terms of function, style, and most of all, price. By deciding ahead of time what sort of designer watch will be best for you, the process of actually shopping and making the purchase will be a lot easier for you. The term “designer watch” is pretty broad, and while it initially had to do with fashion, today it pretty much refers to any company known for making high quality timepieces. This may refer to a company known for solid, reliable products, such as Citizen, or a company known for luxury, such as Rolex, or a company primarily known for fashion, such as Gucci. While your choice of brand when purchasing a designer watch shouldn’t necessarily be your first consideration, it should be in the back of your mind as you ask yourself, “What am I looking for in a watch?” Branding in a designer watch goes hand in hand with style and function, as we’ll explain below. When buying a designer watch, style and function go hand in hand. Obviously, you want to buy a timepiece so that you can tell the time when you need to know it. That’s fine, but any watch will do that. If you’re considering buying a designer watch, you obviously want something more than just knowing the time. That’s where the question comes up – what else do you want? Watches run the gamut in terms of both styling and function, and it’s important that you know ahead of time what else you need the watch to do. Is it a fashion accessory that you simply want to wear to have it look good with your wardrobe or some specific outfit? A fashion statement, that, when worn with a particular business suit, sends a message to whomever happens to see you with it? A functional tool, with extra gadgets such as an altimeter, barometer or chronograph, suitable for sports use? A business tool, such as a model with atomic clock synchronization and automatic time zone adjustments, so you know you’ll be on time for business no matter where you are in the world? Once you know exactly how you’ll use your designer watch, you’ll have a better idea regarding whose watch you should buy. If you want a bold fashion statement, you’d be more likely to buy a designer watch from Michael Kors or Bvlgari than you would from, say, Citizen. On the other hand, Citizen offers incredible functionality in some of their models, including features that may be important to someone who travels a lot and needs a dead-accurate timepiece that can compensate for chances in time zones on the fly. 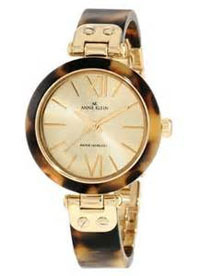 If you need something for outdoor use or sports, you’re not going to look for a designer watch from Anne Klein; you’d be more likely to turn to a sports-oriented company, such as Nixon. 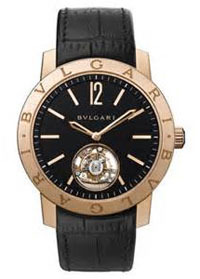 Every designer watch has its pros and cons; and all companies make attractive watches. In the end, it comes down to deciding what, exactly, you need that particular designer watch to do for you. When you know that, you’ll be in a better position to make your choice of manufacturer. Pricing is a key factor when buying a designer watch watch. It would be nice if that weren’t the case, but for most of us, budget considerations are a part of the equation. One need not spend a fortune to buy a high quality designer watch, but you certainly can. Prices, depending on brand an function, can run from as little as $50 to as much as $100,000. Most buyers are going to want something from the lower end of that range, but again, you have to decide what features you want and then how much you’d like to spend. From there, you can look over the product lines from manufacturers that offer the sort of designer watch you want in the price range you can afford. Most manufacturers offer a relatively narrow band of pricing; you’re not likely to find one that offers $50 watches as well as $50,000. Your overall budget is going to steer you towards those manufacturers whose product lines fit in with your ability to pay. Another consideration when buying a designer watch is ongoing maintenance and the manufacturer’s warranty. While most designer watches are well made, some are sourced abroad by companies whose primary product line is not high-quality timepieces. You should be sure that any designer watch you buy has a warranty that’s sufficiently long enough to cover any potential factory defects in parts or workmanship. Most of the higher-end product lines are going to offer fairly lengthy warranties; perhaps three years or more. Some companies even offer warranties for life. On the other hand, many companies offer a warranty of no more than one year. Keep this in mind when making your purchase, as the last thing you want is to spend a lot of money on a designer watch only to find out that it isn’t working anymore, and isn’t covered by a proper warranty. Then you’re left without both money and a useful timepiece. While appreciation isn’t going to be a factor for most buyers, some people collect watches and as more companies create limited edition product lines, appreciation in value can be a factor. Many high end designer watch models, such as Patek Philippe and Rolex, can appreciate significantly over time, as out-of-production models are sought out by collectors and investors. This is even true of companies whose product lines have evolved quite a bit over the years, such as Casio. Many of the company’s earlier models are now quite rare, unusual, and valuable. This isn’t true of all designer watch makes, however. If you want to buy a watch that will appreciate in time, do some research or check Websites that regularly sell second hand timepieces. There are many considerations that go into buying a designer watch. Make sure you understand the important factors, such as branding, function, pricing, and warranty before you make a decision to buy. If you buy the designer watch you need and what you can afford, you’ll likely turn out OK.
Click here to shop for a designer watch at Amazon.